First classical recording to go platinum and eventually triple platinum. 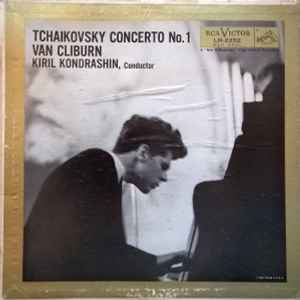 Van Cliburn received a Grammy award for this recording. I bought a Japanese pressing of the "Victor Living Stereo" edition in a junk store for 200 yen — let's say $2. It's totally beaten-up, marred from miss-tracking and scratches. Still, it was a treat to listen. The balance and realistic tones of the instruments and orchestral sections, a piano that really sounds like a piano bear witness to this famous, much vaunted series. "Living Presence" is not just a shill. If only more modern recordings could sound like this!